YOU’VE GOT TO KEEP FINDING YOUR WAY HOME TO THE ONES YOU LOVE. 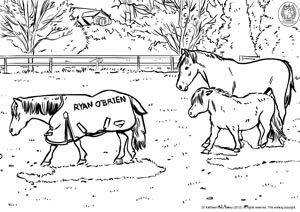 Print Ryan O'Brien wearing his special coat - a special outline made to colour in. Click on the image or the pdf icon to download the image for colouring. For more images to colour visit the Colour In page under Classroom on the top menu. Or click here. The lyrics to the song are under Fun Stuff on the Menu or click here.